Just a memory which has come to mind prompted by the realisation that it is now 60 years since I started my first real full time adult job. One of my early investments, enabled by the jump in my disposable income from the occasional bits of pay from whatever jobs I could get and sandwiched in between my studies, was a stereo record playing system. I was keen on electronics and had built an amplifier, but had to acquire a stereo capable turntable/pickup and a second loudspeaker. 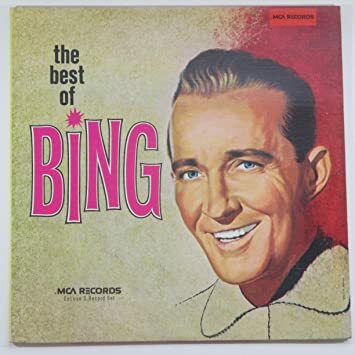 Initially there was no stereo Bing to play on it but there were plenty of "demo" records that showed the potential, and so the possibilities of Bing coming out of one speaker with a duetist in the other, or Bing surrounded by orchestra were eagerly awaited. Expectations were duly met with "Fancy Meeting You Here" followed somewhat later by "How The West Was Won", "Bing and Satchmo" and later still "Holiday In Europe". My order to my usual record shop for "How The West Was Won" was the subject of error and when I went to collect they handed me the mono version. The elderly manager made it clear that he thought I was being fussy when I declined it and declared that he could not tell the difference between stereo and mono and it was all short lived gimmickry that would blow over anyway. There were of course some other records from Bing in stereo around this time - "El Senor Bing" and the first of the Singalong albums, but I did not get those til later. In the meantime I was really fascinated by "Fancy Meeting You Here" which with the others had repeated plays both for my own enjoyment and to demonstrate to friends that stereo was not just for ping pong effects or to give the illusion of a steam train entering the room at one side and leaving at the other, which most demonstrations of HiFi equipment by high pressure salesmen concentrated on at the time. 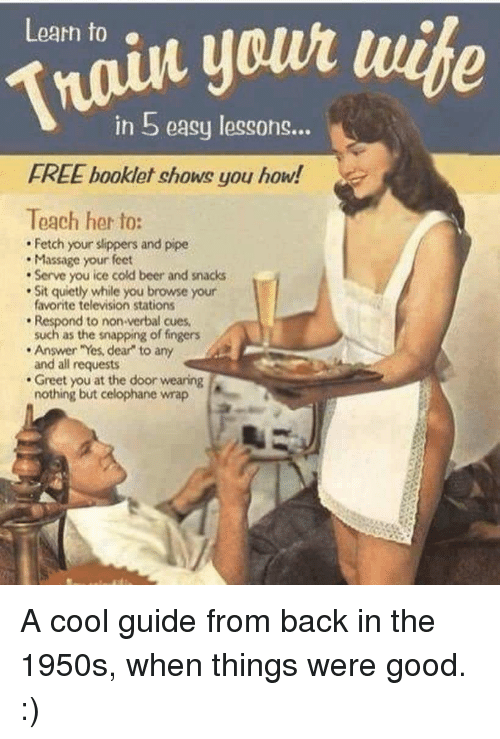 I still have those records. They might be slightly worn but they are quite well preserved and since the 1970s will not have had many plays because by then I was transferring all my favourites to reel to reel tape in order that they should be saved from collecting more dust or scratches (and later of course I got the CDs). But I tend to hang on to the items that I regard as special. Those albums certainly are special. It was 1966 when I was first able to play stereo recordings. I had passed my banking exams and i used the cash award from my employers to buy a stereo radiogram. 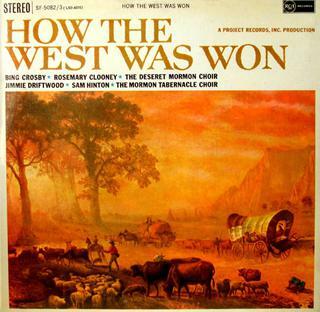 "How the West Was Won" was the first stereo album I had and all visitors used to lie on the floor between the speakers to get the full stereo effect. I don't have any vinyl any more. I sold the the lot some years ago. 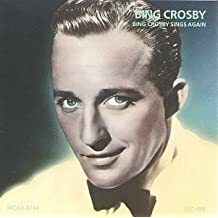 I think it was 1987 was when I acquired a CD player and I remember taking it round to Ken Crossland's house to demonstrate it with my only CD "Bing Crosby Sings Again". My first 'stereo' player was a HMV, with speakers each side of the player. You had to place it in a corner at an angle for the sound to bounce off the walls. Malcolm, that Bing Crosby Sings Again CD was the first CD my dad bought. I still have the CD in my collection. Steve Hoffman did an excellent job restoring the songs, and it had such crisp sound for 1987! 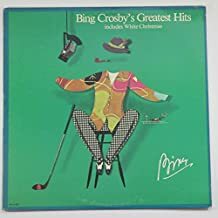 That's a coinky dinky, my first Bing CD was Bing Crosby SIngs Again too. Though I didn't want to buy a CD player and buy everything over again from my album/45 collection so I bought this CD before I ever owned a CD player. My plan was to record the CD using my sister's CD player onto a tape and I'd use the tape. After a while and so many other Bing CDs that weren't released on cassette I knew I was fighting a losing battle. So I bought a CD player after a few more CDs. My first Bing record - a 78 - before I had a radiogramme was 'Faith of Our Fathers'. First LP was a 10" Bing and Boseell Sisters - a 21st. Birthday pressie and nothing to play it on. First CD - I can see it now but it is in Australia and can't exactly remember the name. All 78's were usually 10" but I do have a 12" - 78 - St. Louis Blues.